Back in January 2019, 4iiii announced a firmware upgrade that will go some way to helping 4iiii owners to find lost or stolen bikes. This will be imminently available through the “4iiii Device Configuration” app that will also be receiving its first upgrade since July 2018. Release for the refreshed app is stated as 2 April 2019 but that hasn’t made its way to my Android yet at the time of writing. This update is FREE and this update will work on any historically purchased 4iiii power meter. You know what to do. They make power meters and other stuff. You knew that. 4iiii’s power meters are based on the Nordic chipset. The interesting thing here is that these chipsets support the OBVIOUS platform, which is owned by 4iiii and marketed as being able to add an app store to your existing Nordic chip. Such apps make use of spare resources and would be able to add any supported functionality. Theoretically, such apps could also add the ability to create new revenues streams. I first came across Chipolo in 2016. The device I used was a coin-sized plastic disc that could, for example, be attached to your key ring. Maybe attached to your child too if you are of a nervous disposition. 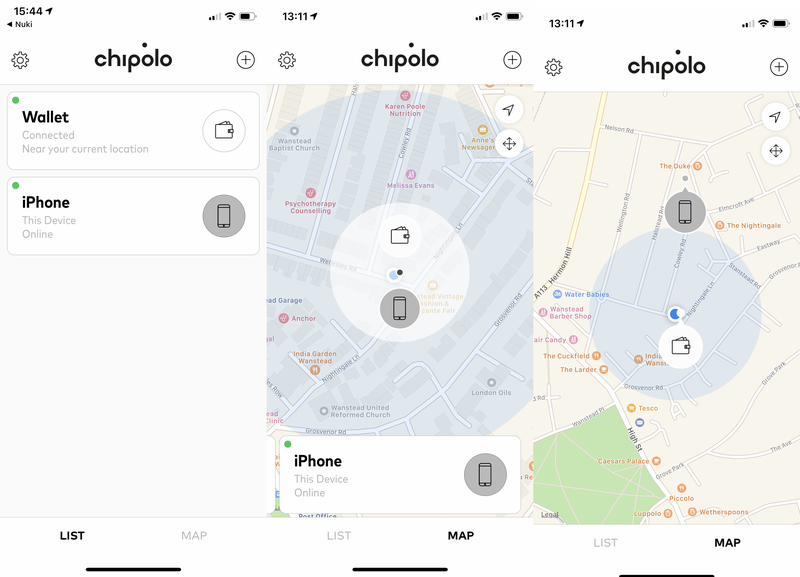 When your Chipolo is lost, simplistically, other Chipolo apps look for it. The efficacy of that process depends on how many Chipolo apps there are. You can guess that the abovementioned 3 organisation have pooled their talent to come up with an ingenious solution. Whilst the efficiency of finding a set of lost keys is limited by the proximity of the Chipolo app (or whatever else does the same function), it is a reasonable proposition to assume that you may well have lost your keys in a public place, there might be a reasonable number of Chipolo-owning people in cities and most people are at least passively trying to help others, rather than going out of their way not to. Applying this technology to the likelihood of find a bike that is stolen is largely different. You may strike it lucky with an unwitting, Chipolo-owning bike thief. You might strike it lucky with a bike thief who stores the stolen bike in an unlikely public place. But the chances are, I would have thought, that the best you can hope for will be some vague indication of which direction your stolen bike has headed rather than the actual end location. You won’t get your PM back this way. Even if you find the house/warehouse where the bike is located then good luck with confronting the thief and good luck with gaining entry. If you assume that bike thieves have not yet heard of 4iiii’s new tracking abilities then the re-sold 4iiii crank/PM will probably find its way to a race or a coffee shop with the unwitting, yet complicit, new owner. You may well be able to shop a fellow cyclist for buying stolen goods. The great thing is, you legally will be able to get your cranks back for free. The sad thing, at least in the UK, is that the Police will have LESS THAN zero real interest in tracing your eBay/PayPal purchase back to the thief who will be able to continue with impunity. Indeed eBay/PayPal will ACTIVELY frustrate investigations for fear of disclosing confidential personal information on the potential thief (been there, experienced that). Some “clever” bike thief might think to zap the chip with a strong magnet. This, of course, then (probably?) renders the 4iiii PM totally useless….at least useless as a PM. It will still be a perfectly good crank just not a very lucrative one to resell. Caveat Emptor. It really is a good idea…just not as practically good as you might, at first, think. Obvious’s technology is interesting and some cleverer person than me will no doubt think of many and more varied applications for sporting gadgets based on the Nordic chipset. Powermetercity.com (based in the USA) is offering up to 40% off select power meters, including both the PRECISION (CR 2032 battery) and Podium (rechargeable) models. Plus free shipping on most models! While supplies last. Compatible with Shimano Hollowtech II cranksets only. Code: the5krunner10 will only give a 10% discount on non-sale models.